For a Trek movie, Star Trek makes a pretty good Star Wars movie. It has lots of chases and shootouts and space battles. It has lame, obvious humour, winking callbacks to previous instalments, and meaningless blah-blah about “destiny”. Plus, cute alien sidekicks. All of which I kind of dug in the way I still dig, say, Return of the Jedi. Now, I’m no advocate for sticking with the source material: if you’re going to do a remake/reboot/whatever, I’d rather see you pick and choose what to keep and put a new spin on things. But I’m slightly saddened that JJ Abrams felt he had to dumb down a 1960s TV show about a planet-hopping space-stud and his loyal buddies, just because it had a bunch of, you know: ideas. 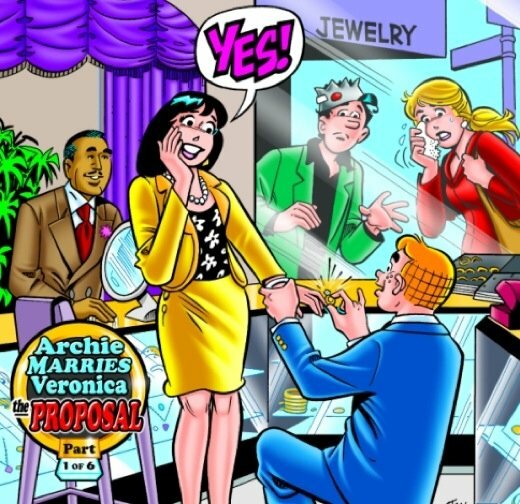 Case in point: the pure plot-device villain. Even the Gorn had a more interesting motivation than Eric Bana did. All that said, though, Trek is a fun movie, and I really enjoyed seeing new actors doing their own takes on familiar characters. I liked the in-joke of Sulu’s “combat training” being fencing (and the payoff later). I’m glad Uhura finally had something to do other than answer the phone. And how awesome was it to see Simon Pegg as Scottie? If you’re dead set on making Scottie the comic relief, for God’s sake, you’ve gotta cast the Pegg. Apparently, there’s a whole subculture of amateur editors making David Lynch mashup parodies, but this is the only one I’ve seen that really captures what makes Lynch so damn creepy and effective (hint: it’s not backwards-talking weirdos and 1950s music). trees like pink popcorn, originally uploaded by Mister Wind-Up Bird. 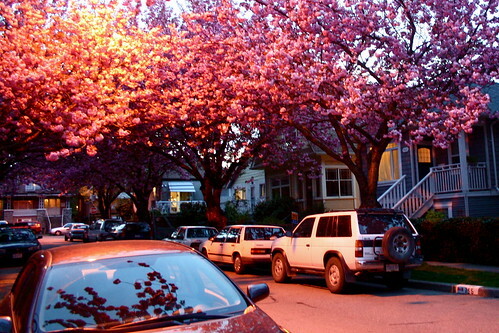 East 23rd Avenue at dusk, in cherry blossom season.